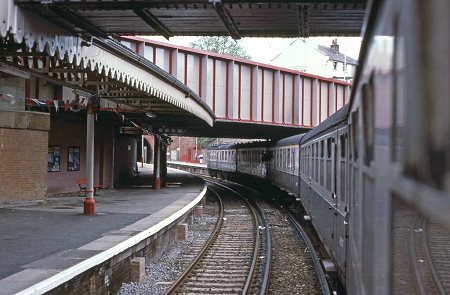 On 11th May 1986 1016 and 1035 working the 13:45 Charing Cross to Hastings at Tunbridge Wells. 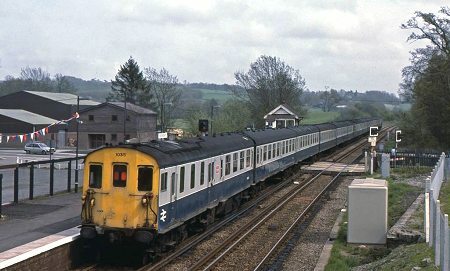 At Etchingham, the end of Don Benn's down run on the 13:45 Charing Cross to Hastings on 11th May 1986 with units 1016 and 1035. 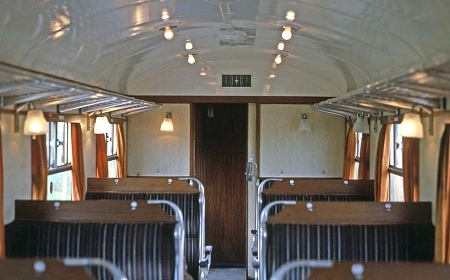 Interior of open saloon standard of 1011 whilst working an up train on 11th May 1986, for the record taken near Stonegate. Th weather and light were not kind to photographers on the last evening of DEMU operation. On 11th May 1986 there was a special 19:18 Hastings to Charing Cross working carrying headboards and a wreath. 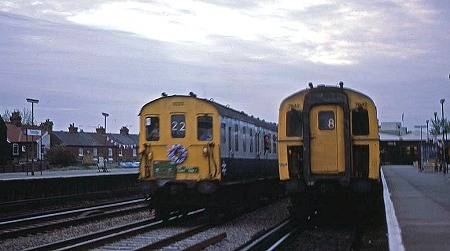 Here 1032 and 1002 on the Up Through Line at Tonbridge pass EMU 7842 in the platform.